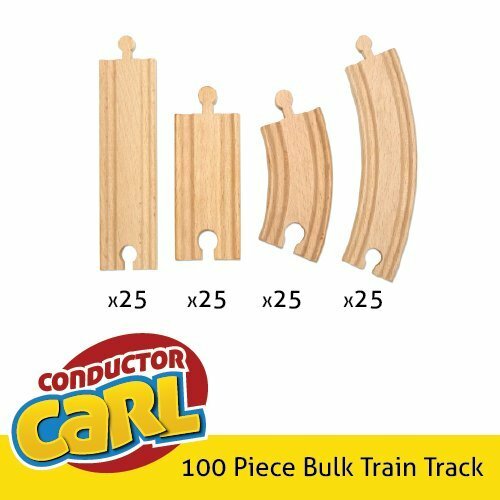 One hundred assorted pieces of train track: two sizes of straight tracks and two sizes of curved tracks. When you've got enough track, the only limit is your imagination. A wholesome source of early exploration and a launchpad for curious minds, no play room is complete without a train set. It's a quintessential childhood classic, time-tested and proven generation after generation. Lay your solid wood tracks, join them up with simple pegs. Feel the gentle texture, breathe in that unmistakable earthy scent, and start exploring. This 100-piece booster track pack lets you add your own personal flair to pre-built train sets. These innovative pieces allow for endless track combinations, which encourages creativity as well as cognitive, physical, and social skills. The diversity of track pieces allows children to build unique routes without being hampered by predetermined constraints or patterns. The curves are ideal for creating twists and turns, while the straight pieces are perfect for little engineers who want a nice, long stretch of uninterrupted track. Each piece comfortably locks into another, making it easy for little hands to grasp and assemble. 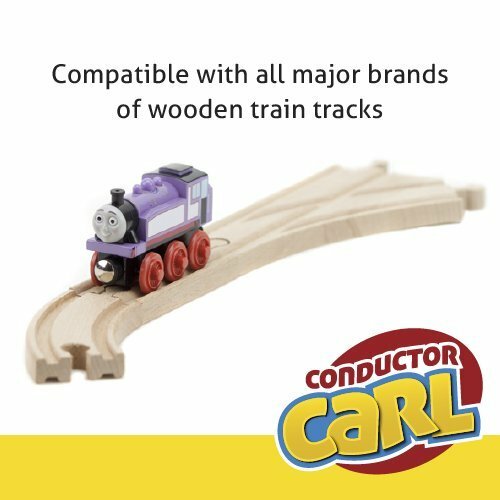 It's compatible with Thomas & Friends, Brio, and other major brand wooden railway systems.